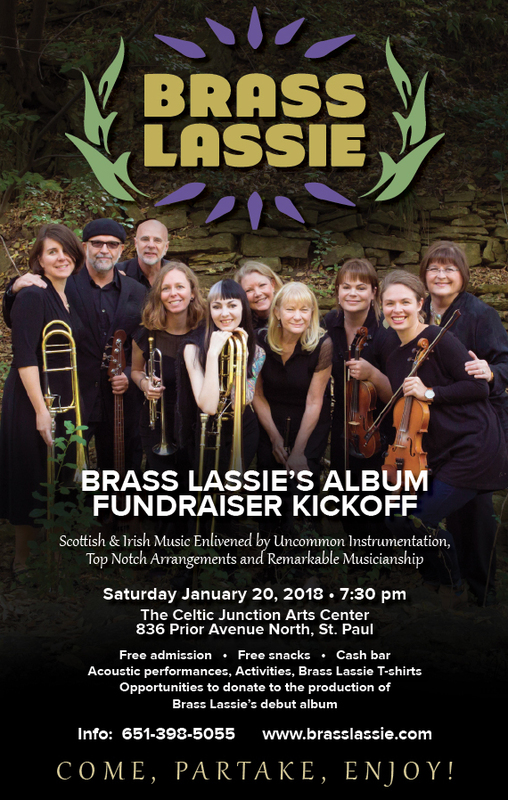 Brass Lassie Album Fundraiser Kickoff! Brass Lassie is getting ready to go into the studio to record our debut album- but we need your help to do it! 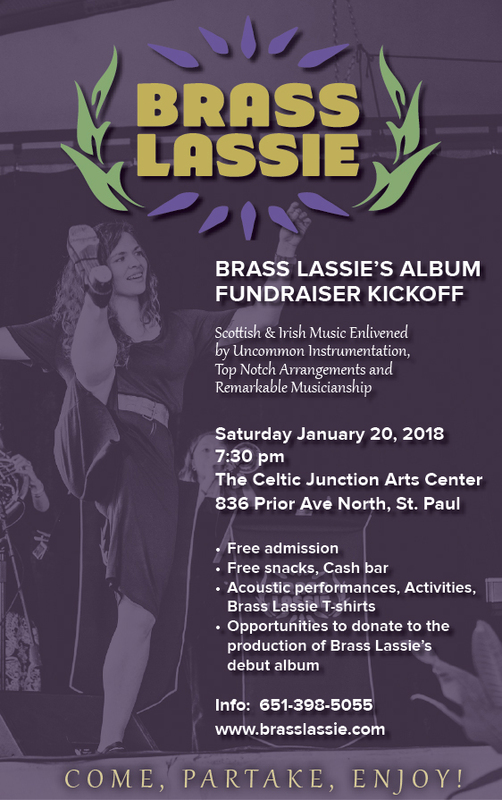 Join us on January 20th, 2018, at the Celtic Junction Arts Center as we launch our funding campaign to bring our music to you. Donors will be an intimate part of the recording process- with regular updates on our progress, exclusive looks into the process, and lots of fun extra gifts and goodies in addition to the finished album! See the posters below (and feel free to share them) for more info, or check out our Facebook Event for the details. We hope to see you there! PS Brass Lassie now has a live webpage where you can find all our updates, sign up for our mailing list, and more!